Gender equality across the music industry, within the jazz field in particular, will be addressed at this year’s Gateshead International Jazz Festival. Europe Jazz Network (EJN) will take to the stage at host venue Sage Gateshead during the Festival weekend (6 – 8 April) to report on their work to try and tackle the issues around this subject. The seminar will take place on the 8th April. Ros Rigby, Europe Jazz Network President and Producer of Gateshead International Jazz Festival, said: “The lack of women instrumentalists on stage has been a topic under discussion for decades in the jazz industry, and over the past few years there have been a number of practical initiatives to try to redress the balance in the UK and other European countries. 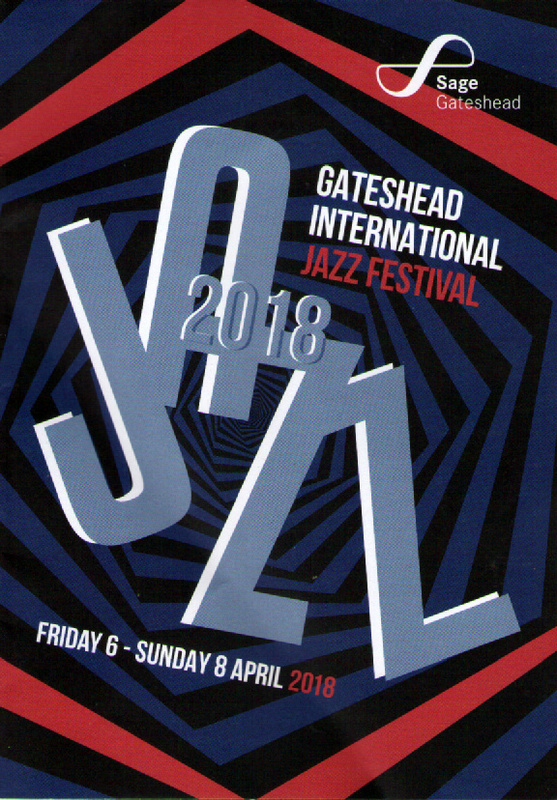 At this year’s Gateshead International Jazz Festival (GIJF) 10 of the 18 concerts feature women artists, in many cases as headline performers - the ambition of a recent similar proposal by the PRS Foundation’s Keychange Initiative is to aim for a 50/50 gender balance across a number of other festivals. Some of the female artists at GIJF include Sheila Jordan, Norma Winstone, Ruby Turner, Zara McFarlane, Kadri Voorand and all female trio J Frisco amongst others. Joining Ros on the panel will be Issie Barratt, who will talk about her work on redressing the gender balance. Issie is an internationally active composer, arranger, conductor, baritone player, record producer and educator who has performed at numerous worldwide leading concert halls, jazz clubs and festivals. Issie is also in residence at the festival and will be presenting her groundbreaking Interchange Dectet project featuring the work of ten UK female jazz composers representing a breadth of generations and cultural backgrounds. Alongside Ros and Issie on the panel will be Terese Larsson (Svensk Jazz), Annamaija Saarela (Annamaija Music Company- Finland), Sunna Gunnlaugs (Reykjavik Jazz Festival and musician), Graham McKenzie (Huddersfield Contemporary Music Festival), Kim Macari (Jazz from Scotland), Steve Mead (Manchester Jazz Festival) and Kenneth Killeen (Improvised Music Company, Dublin), amongst others who will be encouraging conversation about ways in how the industry can move forward both in the UK and across Europe. Europe Jazz Network (EJN) is a non-profit Europe-wide association of producers, presenters and organisations, with over 120-member organisations from over 35 countries who work towards supporting the identity and diversity of jazz in Europe. Tickets for the seminar, which will takeplace on Sunday 8th April at 10.30am, are free but ticketed. The seminar is part of Gateshead International Jazz Festival which takes place from Friday 6th – Sunday 8th April at Sage Gateshead. To book visit www.sagegateshead.com or call 0191 443 4661. EP Review: Jinjoo Yoo - I'm Curious. CD Review: Martin Speake - Intention. Ten Years After - We're Ten Years Old! SSBB & Paul Booth revisited. Rare footage of Panama Jazzmen (1952). Young Musical Prodigy Announces UK Tour. US Musical Prodigy to play in UK. NME Falls Off the Shelf! Jazz Café Jam - March 6, 2018. Great North Big Band Jazz Festival Cancelled!